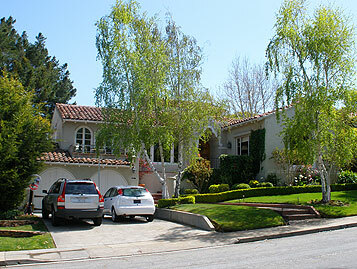 The California Spanish has a new bedroom wing over the existing garage. A pair of French doors opens onto a small balcony. Arched windows compliment the existing architecture and contribute to enhanced grandeur.